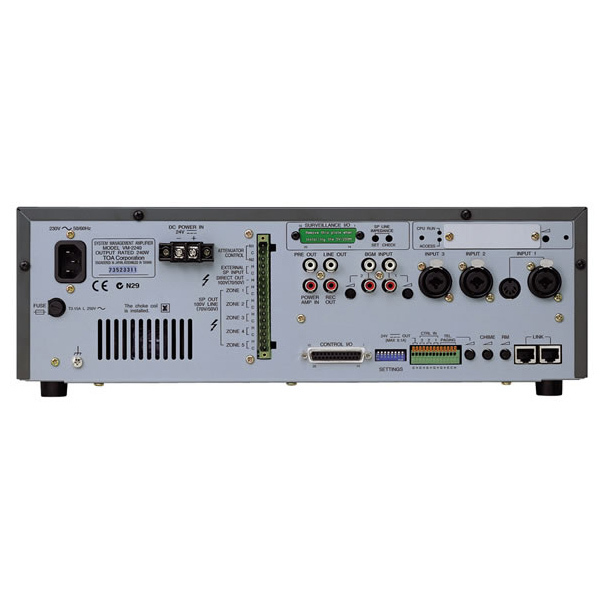 The VM-2000 series is an integrated broadcast system for both commercial and voice evacuation purposes which corresponds to the main requirements of EN60849; the European standard of voice evacuation system. The system consists of a system management amplifier such as VM-2120 and/or VM-2240, and remote microphone RM-200M. The standard system of VM-2000 transmits background music, paging, and emergency announcements to 5 different zones individually or to all the zones at once. 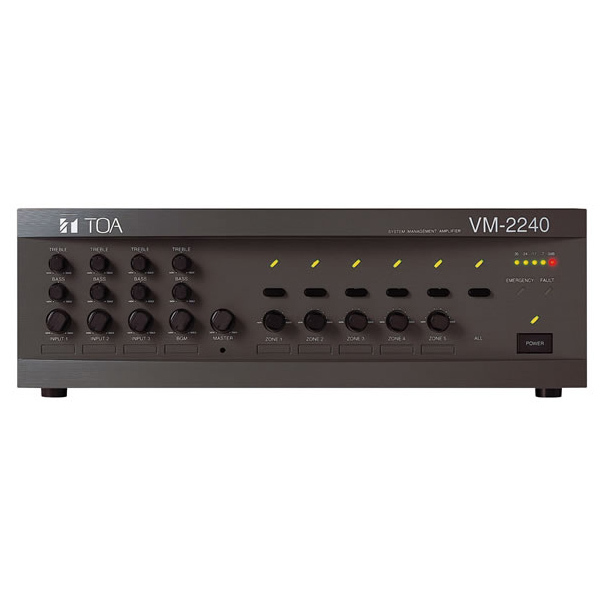 Targeted at medium-sized facilities, every VM-2000 Series unit offers three line/Mic inputs, 2 BGM inputs and remote Mic capability as well as telephone paging. Operation is simple and trouble-free for site staff. 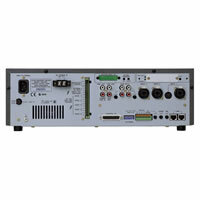 With an optional surveillance board; SV-200MA, the system surveys and indicates the status of a power amplifier circuit, speaker lines with a ground leakage accident and open/short on each speaker line.